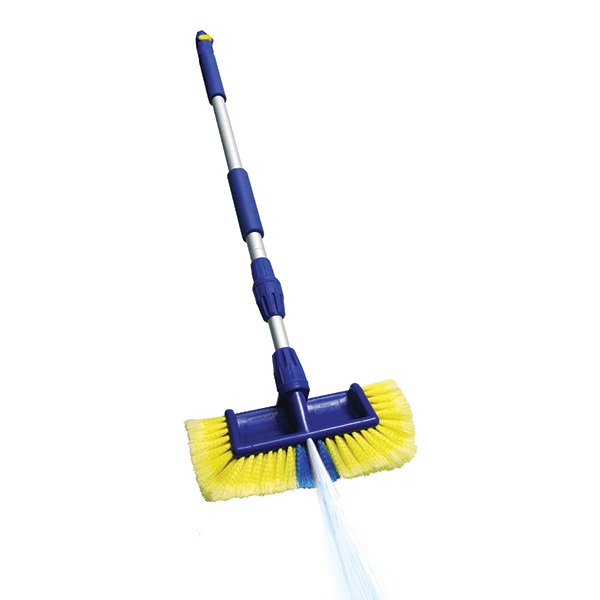 Attach to your hose to clean hard to reach places with the Blaster Brush. 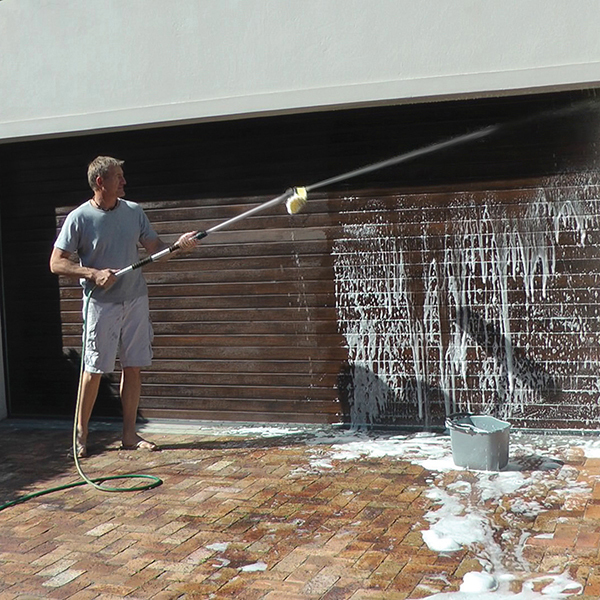 All you need is a standard hose pipe and the Blaster Brush and Water Broom to clean cars, driveways, refuse bins, barbecues and much more with ease and speed! 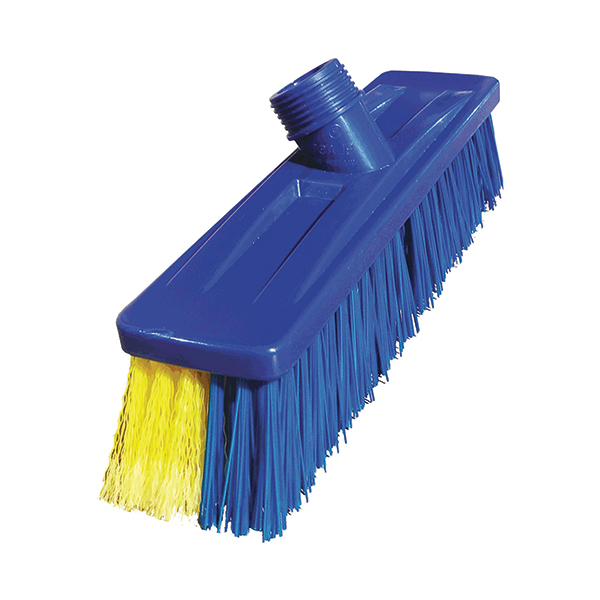 Blaster Brush and Water Broom Tired of washing your car the old fashioned way? 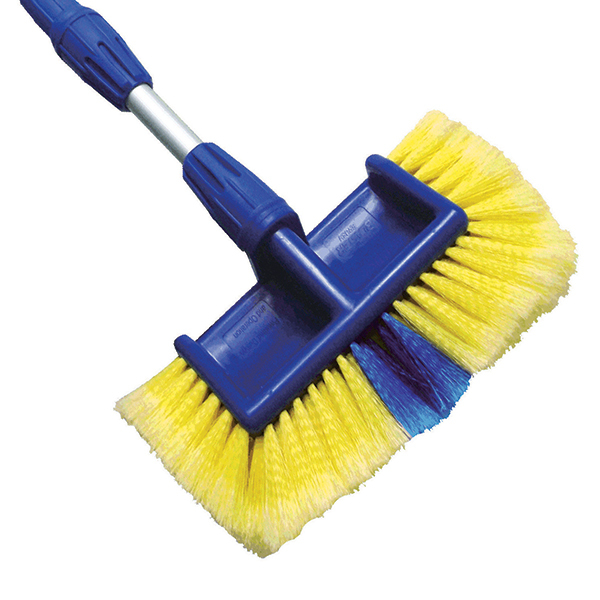 Blast away the hassle of cleaning with...Blaster Brush. 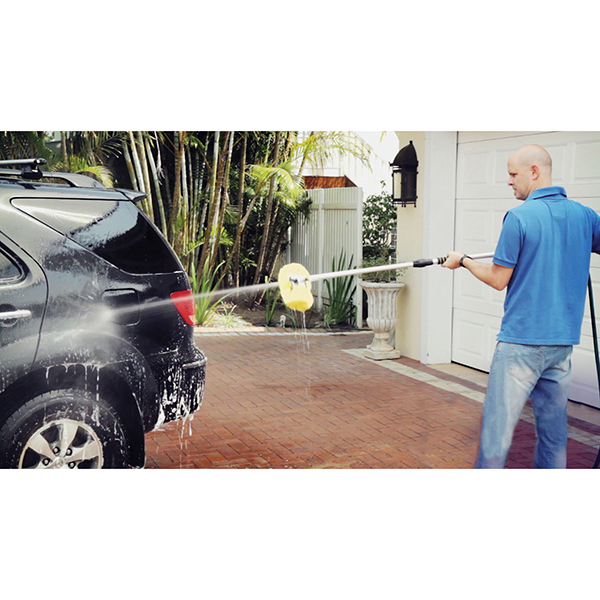 Wash and rinse your dull, dirty car to showroom condition in double-quick time. 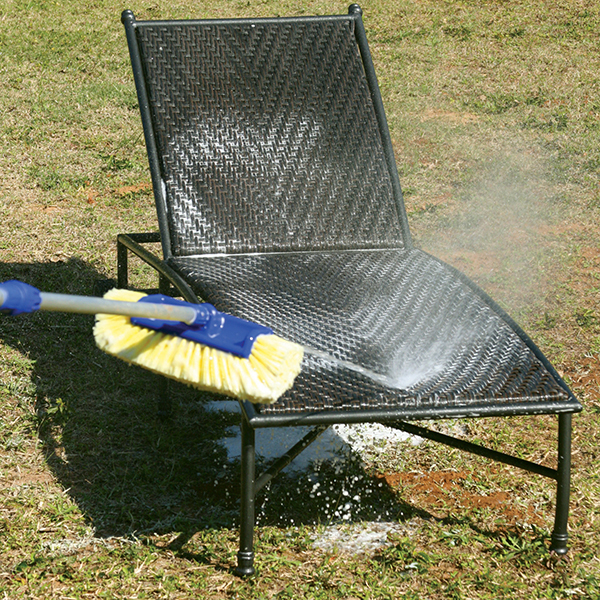 Simply blast, brush, and spray-rinse with its powerful water pressurized jet. 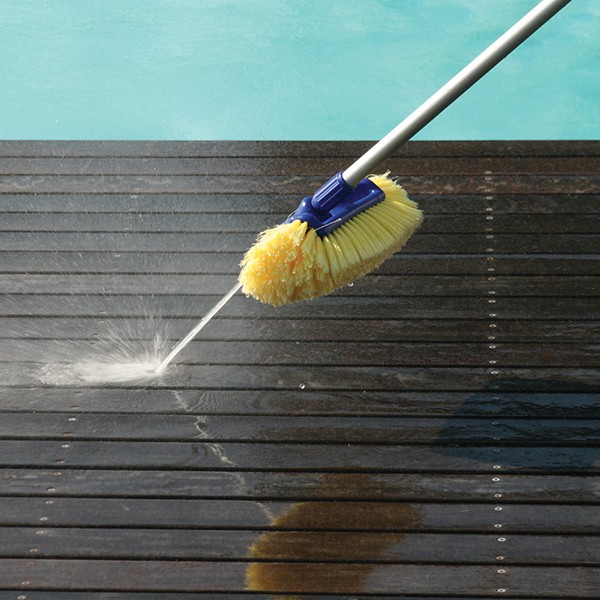 There's no bending, getting wet, or changing parts; no pressure washer, no electricity or extension leads required. Thanks to a patented 2-in-1 design, combining the ultimate in scratch-free brush technology with a high pressure sprayer. Just use any standard garden hose and fit it into the bottom of the Blaster Brush's handle, no need to go out and buy a completely new specialised hose or attachment, or an electrical extension, plugs or sockets. 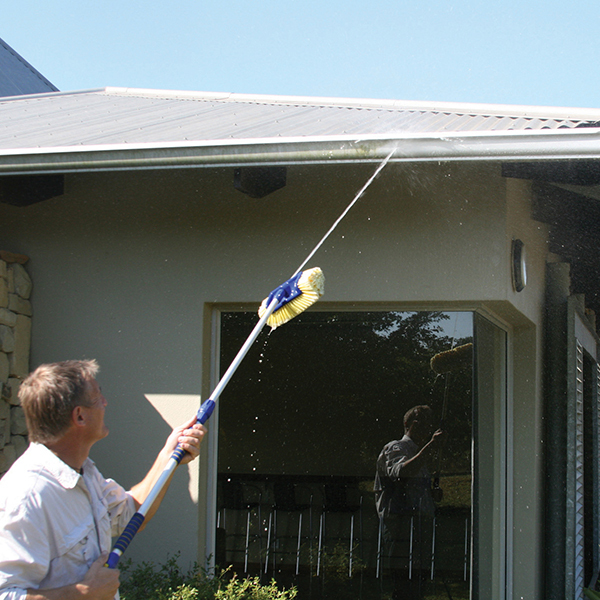 The water trigger controls the pressure washer spray and is conveniently situated at the base of the handle so there's no extra effort or need to fiddle with taps. Saves a lot of time going back over panels covered in dried suds. This is a well built, innovative, useful product that will make life that bit easier.